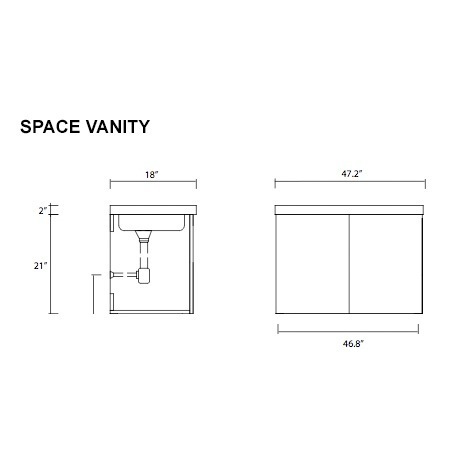 The busiest master bathroom will benefit from this twin sink vanity set with modern style and solid performance. The E1 Ecological paneling comes in waterproof Glossy White, Wenge and Gray Oak finishes, with ultra low emissions of indoor pollution. The twin basin fitted sink leaves plenty of room for sundries. 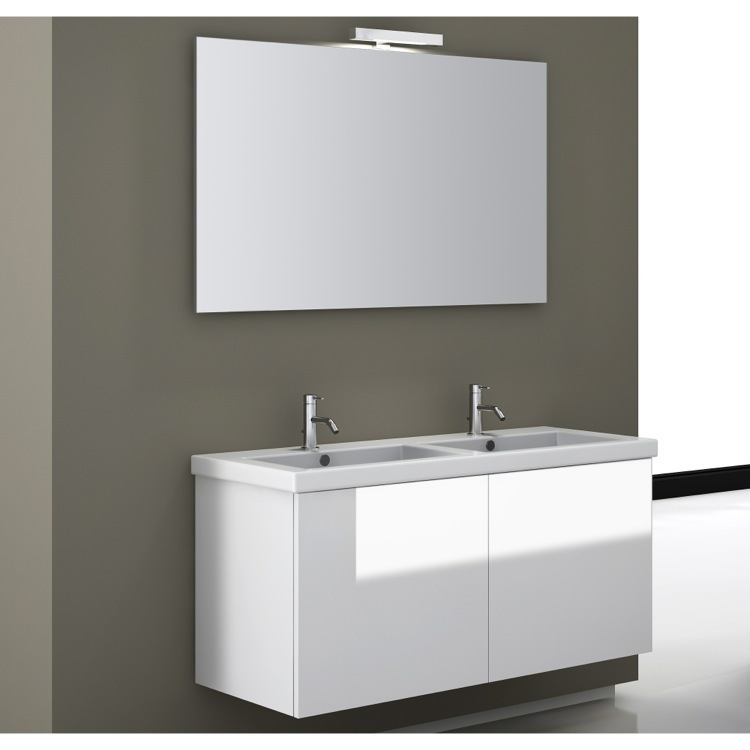 Expect long life from the scratch and corrosion resistant wide mirror, that also includes a vanity light. The no handle storage doors soft close for quiet operation. Made in Italy. 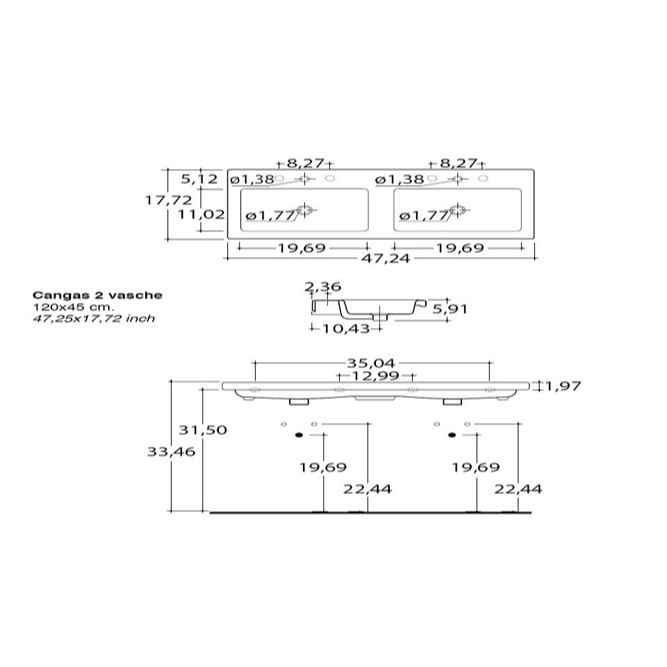 Basin Depth: 3.5" Basin Width: 11.02" Basin Length: 19.69"